We offer a complete line of 12 Volt Lawn & Garden Sprayers. Common sizes are 15, 25, and 60 gallons. 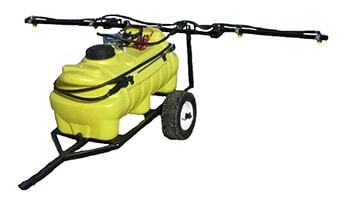 We offer Spot Sprayers, Trailer Sprayers, ATV Sprayers, and Utility Sprayers. Please contact our sales staff for questions or pricing. 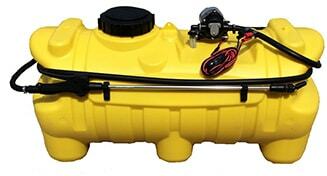 Our 12 Volt Spot Sprayers are made from UV Stabilized PE plastic. 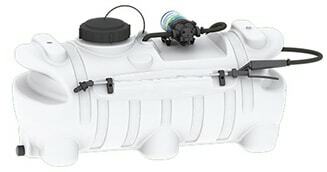 Each tank comes with a 5″ threaded lid and a molded-in drain. Each tank comes with a heavy duty wiring harness. We offer different pumps, wands, and guns. 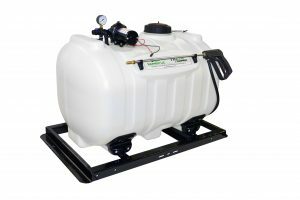 Our 12 Volt 25 and 60 Gallon Trailer Sprayers come with a UV stablized PE spot sprayer tank. Each tank comes with a 5″ threaded lid and molded-in drain. Each trailer comes with a heavy duty painted steel frame, heavy duty wiring harness, and pneumatic tires. 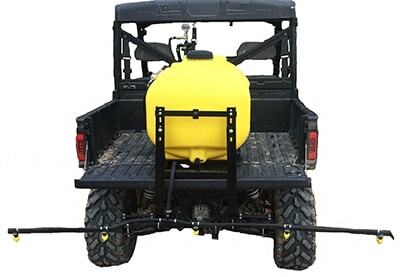 Our 12 Volt 60 Gallon UTV Skid Sprayer come with a UV stablized PE spot sprayer tank. 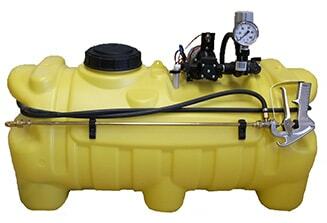 The tank comes with a 5″ threaded lid and molded-in drain. Each unit comes with a heavy duty painted steel skid & heavy duty wiring harness.